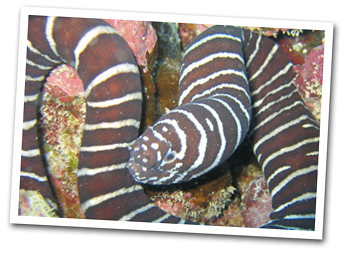 Come and enjoy diving Oahu's warm, clear water and best diving locations. This dive trip is geared for the newly certified diver, rusty diver or beginner who wants to take it easy and explore the reefs and take their time. PADI 5 Star Gold Palm Resort Facility with two dive boats and dive center in Waikiki. Our knowledgable and experienced staff are dedicated to making your dive experience in Hawaii safe and fun! Includes: FREE transportation to dive boats, 2 boat dives, equipment use (rental package), guide and refreshments. This dive trip is geared for the newly certified diver, rusty diver or beginner who wants to take it easy and explore the reefs and take their time. Depths do not exceed 40 feet. We encourage those who have not dived in awhile to join in our FREE morning pool session to get reacquainted with diving and blow some bubbles. See giant sea turtles, white tip reef sharks, moray eels, octopus, thousands of tropical fish (some only found here in Hawaii) and other abundant reef life. We chose our dive sites based on your interest, level of certification and weather conditions unless the dive site were set up in advance. If you have a special request, please provide it in the reservation form and we will try to accommodate you. All dive trips are led by professional Divemasters or Instructors for your safety. We take only 4 divers per instructor for your safety & comfort. 3. PADI 5 Star Gold Palm Resort Facility with two dive boats and dive center in Waikiki. All beginners are required to fill out medical release form. Please look it over prior to booking. Click here to review PADI Medical Release Form. A medical release will be provided at check in. All answers must be a "no" answer to dive with us. If there is a "yes" answer, print out release form and have your Doctor sign it to release us from liability. If Doctor clears you for diving, bring in form at check in. At time of check in, revealing a "yes" answer without a Doctor's release may result in loss of your diving fee. If time is limited, we can forward a form to your doctor to release you. Call us at 808-721-1552 for options.